NOTE: If you're into the science of happiness and positive emotions, check out our latest book, The Happy Life Formula. It's all about creating more happiness in our lives so that we can become not only happier, but also healthier and more successful. 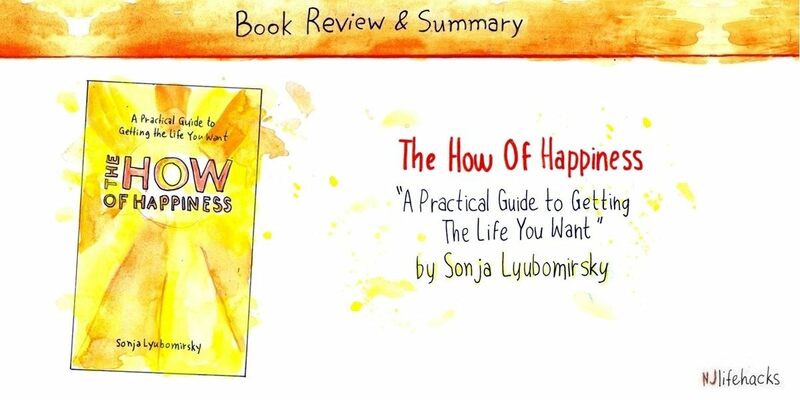 The How of Happiness by Sonja Lyubomirsky is the most complete book on the science of happiness and wellbeing I’ve ever read. Its premise is simple: We all want to be happier, but few of us know how to go about improving our happiness. Well, this book changes that. Using sound scientific research, it shows you exactly how to go about raising your levels of happiness. The book essentially does three things: 1) It explains how happiness works. 2) It explains why happiness matters. 3) It outlines 12 science-backed activities for becoming happier. If you’re new to Positive Psychology—the science of well-being and flourishing—this book is where to start. Who is The How of Happiness for? Anyone interested in becoming happier. Anyone interested in a scientific approach to happiness and flourishing. Anyone looking to improve their life. A new job that better provides for you and your family? Relief from your bad back? Your child excelling at school? Knowing what you really want to do with your life? Cure from a chronic illness or disability? That’s where most of us find ourselves: We want happiness… but we have no clue how happiness works. Happiness is literally the number one goal for most people in life. It’s what we’re chasing all of our lives. Yet do we ever question whether our assumptions about happiness are correct? Do we ever stop and dare to figure out happiness really works? That’s why Positive Psychology and the science of happiness is so important. It shows us what really makes us happy and what doesn’t. Knowing that, we can finally create our lives in ways that are optimized for happiness. So, the pie-chart theory shows us how happiness really works: Your level of happiness is determined by your genetic set-point (accounting for 50% of the variance in happiness), external circumstances (10%), and intentional activity (40%). Your genetic set-point (50%). Your genes determine 50% of your happiness. In other words, half of your level of happiness is fixed, hence the word set-point. You’re either lucky to have “happy genes” or unlucky to have “unhappy genes.” There’s nothing you can do about it. External circumstances (10%). This is what shocks most people: Your life circumstances—whether you’re rich or poor, healthy or unhealthy, married or divorced, beautiful or plain, driving a new or an old car—only account for a measly 10% of your happiness. This explains why some kids in Brazilian slums can be just as happy as grumpy millionaires in the Western world. “Stuff” and other circumstances just don’t have much of an impact on happiness. Intentional activity (40%). This refers to our behavior: what we do and how we think. As far as boosting our happiness goes, this is where the money is. Why? Because it makes up a whopping 40% of our happiness. Plus our behavior is much easier to change than our circumstances. So there you have it. That’s how happiness works. There are two important takeaways here. First, happy people aren’t happy because they have more money, faster cars, or better looks than their less happy peers. Instead, where they differ is in their behavior: they engage in more behaviors that boost happiness, such as spending time with their family, practicing optimism, exercising regularly, savoring life’s pleasures, living in the present moment, or expressing gratitude for what they have. Second, the key to happiness lies not in changing your genes (which is impossible) and not in changing your circumstances (which is hard and impractical), but in changing what you do and how you think. As I alluded to before, our false assumptions about happiness are keeping us from becoming the happiest we could be. Myth No. 1: Happiness must be found. Happiness isn’t something you find; it’s something you create for yourself. It’s something you practice, not something you search for. Happiness lies in changing your behavior, not getting to some magical place in the future where all your worries will subside. It’s attainable now, but it requires effort. Myth No. 2: Happiness lies in changing our circumstances. This is the classic fallacy of “I will be happy when ______.” Again, research shows it doesn’t work that way. Changing your circumstances doesn’t matter, as far as happiness is concerned. If you want to feel happier, work on what you do and how you think. Myth No. 3: You either have it or you don’t. Many people subscribe to this notion that we are born happy or unhappy, and there’s nothing we can do about it. As the pie-chart theory clearly shows, that’s not true. Yes, genes make a difference, but there’s still plenty you can do to overcome your genetic programming. 4. Why Do Circumstances Account for So Little? “One of the great ironies or our quest to become happier is that so many of us focus on changing the circumstances of our lives in the misguided hope that those changes will deliver happiness. For example, in an attempt to allay unhappiness, a recent graduate may choose a high-paying job in a distant city, a middle-aged divorcee may undergo beautifying cosmetic surgery, or a retired couple may buy an apartment with a view. Unfortunately, all of these individuals will probably only become temporarily happier. An impressive body of research now shows that trying to be happy by changing our life situation ultimately will not work. Life circumstances are the stable facts about your life: your gender, age, ethnicity, where you grew up, and significant life events that shaped your childhood, adolescence, and adulthood. They also include your occupation, income, religious affiliations, living conditions, health status, and whether you’re married, divorced, widowed, separated, or single. All of these circumstances put together only account for 10% of how happy people are. At first, we react strongly to changes in circumstances, but, over time, their emotional impacts lose their power. We take good things for granted. We overcome obstacles. In both cases, we may freak out in the beginning, but then move on as if it were no big deal. In other words, we adapt. You’ve undoubtedly experienced this in your own life. The initial thrill of a new house, car, or pay raise is wonderful, but the enjoyment rarely lasts for more than a couple of days. Winning the lottery is a good example. Research shows that within a few months, people who win the lottery are about as happy as they were initially. So that’s the bad news about hedonic adaptation: Positive events and circumstances may feel good in the moment, but due to our natural propensity to adapt, they will never create lasting happiness. And now for the good news: I propose that we’re actually lucky to have this ability to adapt quickly to changing circumstances. Why? Because it’s incredibly useful when bad things happen. Without this ability, we would always be at the mercy of what happens in our lives. If something good happens, cool. If something bad happens—the death of a loved one, or the suffering of a debilitating injury—we’d be miserable for our lives. Hedonic adaptation acts like a safety guard preventing us from spiraling into the abyss of depression after negative life events. Meanwhile, we can optimize our behavior (which accounts for 40% of our happiness!) and create happiness for ourselves that way. Bingo! Happiness is more than a feel-good state. It’s a state of high performance, greater resiliency, thriving health, and boosted productivity. Our minds and bodies literally perform at their best when we’re feeling good. Entire books have been written on how we can capitalize on the performance-enhancing effects of happiness and use them to create more success for ourselves. Rather than the result of success, happiness seems to be the cause of it. Check out our summaries of The Happiness Advantage and The Happiness Track for more on this. Changing your behavior—especially lifelong habits!—takes effort. Most happiness activities, as you’re about to see, aren’t exactly easy to follow through with. Applying these strategies in your life takes planning, effort, and dedication. So, if you’re serious about becoming happier, pull up your sleeves, spit in your hands, and get ready to put in the work. These are Sonja Lyubomirsky’s 12 science-backed happiness activities. The book explains why each activity works and then gives multiple ways to practice it. We’ll now discuss three specific strategies. If you’re struggling with overthinking, you need to find a way to fix it. Otherwise, as Lyubomirsky says, you might as well forget about happiness. And yes, you can fix this disease of overthinking! I’ve done so myself. Sure, I’m nowhere near perfect, but compared to when I was younger, I’m 100 times better. Healthy distractions. Instead of letting one bad thought or event escalate into hours of rumination, redirect your full attention somewhere else—engage in physical exercise, read a captivating book, watch a funny video, or meet a friend. Anything that fully absorbs your attention will do the trick. Writing it down. Putting your ruminations into words helps you organize them, make sense of them, and discover a pattern you weren’t aware of before. It helps you unburden yourself from the thoughts, allowing you to move past them. But hands down the best strategy to break the deadlock of overthinking is mindfulness—the ability to step back from your thoughts/feelings and watch them from a safe distance in a nonjudgmental and accepting way. Mindfulness is the most important skill I’ve ever come across in my entire life. Not only has it helped me beat the curse of overthinking, it has also made me a happier, kinder, more compassionate, more productive, and overall better person. Let’s discuss this further in the next point. “A series of studies conducted at the University of Rochester focused on people ‘high in mindfulness’, that is, those who are prone to be mindfully attentive to the here and now and keenly aware of their surroundings. It turns out that such individuals are models of flourishing mental health. Relative to the average person, they are more likely to be happy, optimistic, self-confident and satisfied with their lives, and less likely to be depressed, angry, anxious, hostile, self-conscious, impulsive or neurotic. In short: mindfulness is great. So how do you practice it? There are two ways: formal and informal. Formal practice is what we call meditation. You take time out of your day to focus on an object of concentration (e.g., your breath), and bring your mind back to that object every time you get distracted and are lost in thinking. Informal practice doesn’t require taking any time out of your day. Instead, you simply do whatever you’re currently doing in a mindful way. We call this mindful eating, mindful cooking, mindful showering, or mindful commuting. Whatever you do, you give your full attention to it. When you get lost in thought, you bring your attention back to the task at hand. That’s easier said than done, but that’s the gist of it. If you’re new to this, you want to start with formal practice so that you get a feel for what mindfulness involves and what it feels like. If you’re to take the plunge, check out our beginner’s guide on meditation and start a daily practice. Call it a project, goal, dream, aspiration, or whatever—you need something you’re working on and/or something you’re working toward. Goals give you meaning, a sense of purpose, a feeling of control, and a positive outlook on life. They get us fired up and out of bed in the morning. They put us into that high-performance state of enthusiasm, positivity, and motivation. If your life lacks meaning, if you’re bored a lot of the time, if you don’t know what to do with yourself, it’s likely because you’re not pursuing any projects you’re passionate about. If you want greater happiness, figure out a worthwhile project and get on it. Happy people have projects. Positivity by Barbara Fredrickson. This book does two things: it tells us why positivity—healthy mind-states such as gratitude, joy, pride, or peacefulness—matters and how to create more of it in our lives. The Happiness Advantage by Shawn Achor. 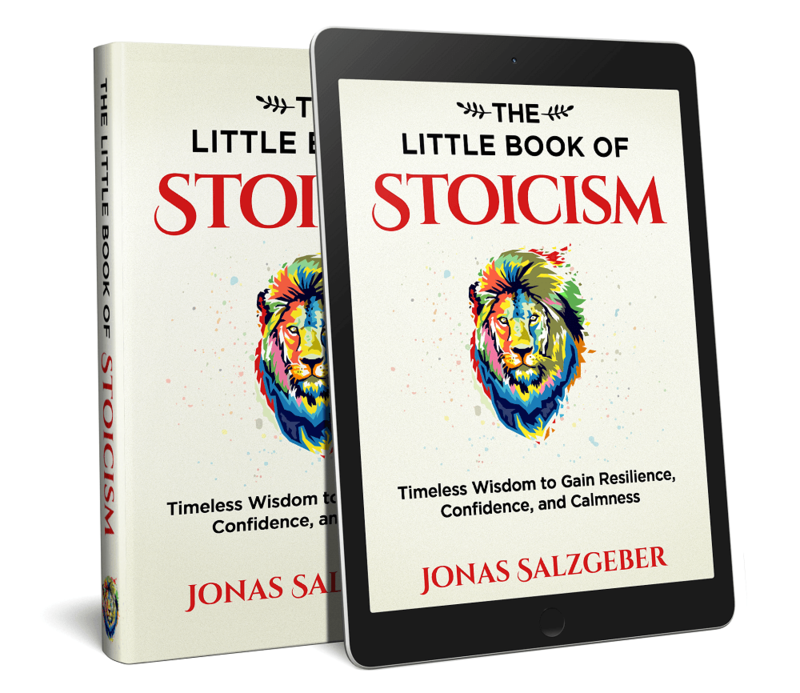 If you want to learn more about the performance-enhancing benefits of happiness and how to leverage them in your life, this is the book for you. Flourish by Martin Seligman. The latest book on the science of wellbeing by the founder of the Positive Psychology movement. The Happy Life Formula by Nils Salzgeber. This is my own book. It's all about the science of happiness and how we can use it to become happier, healthier, and more successful. And if you want more summaries like this one, check out Blinkist for instant access to 2,000+ summaries of the best nonfiction and self-help books ever. If you enjoyed this, consider signing up for our newsletter to get the latest articles and other valuable resources for free. Hi Ehsan, thanks for the suggestions. I’ve read and enjoyed Vanessa Van Edwards’ book, but I haven’t got around to reading Ben Hardy’s book. Though I have to say that I’m really not a fan of the title. It’s pretty much the opposite of how I see things. In my opinion, willpower is the one thing that works and the one thing we can’t neglect.